Sunny day lunch at Jin Patisserie on Abotto Kinney. 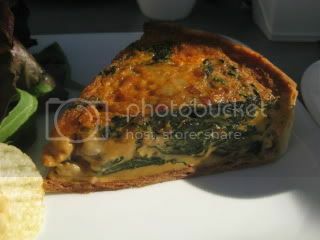 I had Spinach and Mushroom Quiche. The crust was nicely flakey. The filling was very rich. 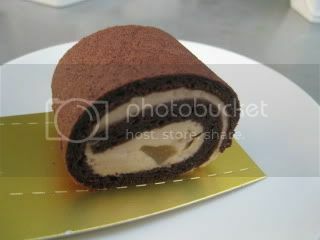 The quiche was followed by a slice of chocolate rolle cake with cream & chestnut filling. 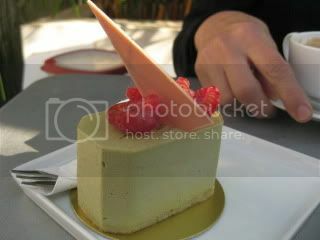 My friend had a piece of pistachio mousse, which was good, too.